Biometric solutions have a central role to play in bringing crime investigations to a logical conclusion. What plays a key role in this is networking. Networking in security terms means interacting with others to exchange information and developing professional contacts. This helps different investigation agencies collaborate jointly and use biometric solutions (Automated Biometric Identification System) shared via networking to help solve crime faster. How? Scene investigators can match fingerprints and faces to criminals and solve crimes faster. Rapid advances in cloud technology to respond to customer demands for a cloud-capable version of this traditionally on-premises Automated Biometric Identification System (ABIS) has cut short both, time and efforts and has expedited the procedure furthermore. MorphoTrak, a firm that provides such biometric solutions has moved its ABIS to the Microsoft Azure Government Cloud. Law enforcement customers have limited time and resources so, they require systems that make latent print processing fast and efficient. Morpho Trak cloud version powered by Azure Cloud responds to the challenge effectively with requisite infrastructure in place. 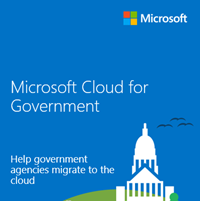 We chose Microsoft because it has a strong commitment to the criminal justice and public security market in which we operate, and Azure Government met all our scalability and security requirements for a cloud solution. For example, through scalability i.e. expanding support to both local investigators and experts from around the world, forensics professionals and investigators would do away with the need of traveling to the crime scene and use a closed-LAN system to access information. Instead, MorphoTrak via its cloud-based version of ABIS solution would provide a highly secure access to a central, cloud-based system for collaboration, thereby offering fast access to the network, and storage resources to help police agencies solve major crimes. Apart from the above, instances where customers need to expand their database or increase their throughput, the system mechanism readily adapts to Azure government rather than going through lengthy system upgrade planning and procurement processes. This eliminates resources and enhances agency agility. In absence of it, earlier, agencies had to resort to a long, tedious process of shipping the complete hardware.